Social media is more than just trying to lure people to your website; at best, it is about sharing information, building and joining to reference groups, discovering and building new networks, and giving a sense of purpose. These values go hand in hand with aid work, non-profit thinking, and fundraising efforts and hence are worthy of looking deeper. In this new social media era, fundraising websites that understand the spirit of social media are in a powerful position. Interaria overviews in this article two fund-raising sites, Kickstarter and Kiva, that target the social media savvy audience and encourage participation, even with small “micro” donations. Both sites skillfully utilize social media genre with icon based navigation systems, integrated Facebook log in systems, emphasis on the self (member profile), and interactivity. These modern sites mimic user experiences from LinkedIn and Facebook making a member feel instantly familiar and comfortable, and ultimately lowering the bar for making donations. These sites are much more than payment gateways; they are designed to give a human face for each cause and they highlight donators as integral part of the community, building a sense of belonging and purpose. Kickstarter is a social media driven website focusing on raising funds for independent projects mainly in the creative field but also for business start-ups. Creative projects can be browsed by location (New York, Los Angeles, Austin, Dallas…. etc) and category (art, dance, design, film & video… etc). The brand messaging implies that the target audience for the site is young urban educated adults who will most likely identify relevant regional, industry and lifestyle categories from the website. WHY WE LIKE THIS SITE? 1) Kickstarter utilizes Facebook Log In: The site utilizes an optional Facebook log in lowering the bar for joining the community. Once the account has been created the member is not tied to use for instance the Facebook avatar but can further customize My Account page. Empowering other social media websites (for instance on Jan 2011 Flickr) with Facebook log in system has been a recent rapidly growing trend. 2) Kickstarter makes donating easy: Although Kickstarter doesn’t offer PayPal payments the aim is to make making payments as easy as possible. Donations are done either with Amazon payments out or with a standard credit card payment gateway. 3) Kickstarter promotes quality web design & web architecture: We love how well the site is designed and organized. Projects are easy to find and the navigation and user interfaces are intuitive. The site has a modern feel and the content is designed to display well on iPad and other tablets (the content is not provided as iOS apps at this point). 4) Kickstarter has a clever rapport to pledge for donations: We think this site has an excellent copy and the tone of voice. Each donation (“pledge”) level is structured with a promise of what one gets as a return. The return of favor varies depending the amount of pledge from a thank you note to a credit status as a co-producer or a VIP invitation to a film’s premiere. 5) Kickstarter supports interaction between the donor and the receiver. The starter of the project may send messages and post video about the progress. Message boards are available for leaving notes. The project starters often have a personalized approach in thanking donators and showing appreciation. 6) Kickstarter projects get funded only if they reach their fundraising goals. Kickstarter makes sure that donations go to deserving causes that have enough backed support to make them actually happen. Kiva’s purpose is to raise micro-loans for individuals in third world countries or from indigenous surroundings. The loans are for very specific purposes, buying new equipment, buying grain for cattle, financing a new computer – at least this is the image Kiva draws. Critics have been pointing out however, that the loans do not go directly to the people featured in profiles but they go in fact for member organizations in the designated countries that then distribute the loans. (Click here to read Harvard Business Review Blog on the matter of misleading marketing in the name of a greater cause.) The causes are easy to search via a map interface and type. Understandably, Kiva doesn’t guarantee any loans so the spirit in that sense is of charity fundraising. Kiva does display a wealth of interesting statistics about the risks involved. Once the loan is returned to the lender, he/she can re-donate it for another cause. 1) Kiva utilizes Facebook Log In: Just like Kickstarter, Kiva’s website utilizes an optional Facebook log in lowering the bar for joining the community. Empowering other social media websites (for instance on Jan 2011 Flickr) with Facebook log in system has been a recent rapidly growing trend. 2) Kiva utilizes PayPal as a payment gateway: PayPal is today a preferred quick payment gateway. A quick payment method is quite crucial for a modern fundraising website. 3) Kiva’s lender profile icons (avatars) build community feel: Kiva skillfully gives its site “facebook” feel by placing donators’ avatars below each case study. This familiar brand messaging style builds up both trust and community feel. 4) Kiva has similarities with LinkedIn: Just like Kickstarter, Kiva encourages a member to invite friends to join Kiva by offering email address export configuration systems and an invitation letter template. A member familiar with LinkedIn knows fast what to do. 5) Kiva is in touch with the mind of a modern consumer: Kiva offers a good amount of gift cards and merchandise for spreading the word and tapping with the modern brand image. Kiva is not only a good cause but also a fun gift to shop. 6) Kiva provides competitive data: Just like Kickstarter, Kiva places statistics within a member’s profile by letting the member know where they rank statistically with regards to the number of loans given, friends invited and so forth. This can bring up an inner competitor and challenge to lend more. 5) Kiva utilizes Google Maps: Although lenders might very well know where Armenia is located for instance, Kiva’s way of placing Google Maps encourage lending activity for projects across the globe. After Asia, one might want to click on South America, and after South America, one might want to give a micro-loan to Africa. Kiva’s way is to utilize common well understood features not for the sake of delivering crucial information but for the aim of building a story of global community of which one belongs to. 1) Both sites utilize visual icon based “call-to-action” navigation structure typical to social media websites. 2) Both sites communicate clearly the outcome for each donation making donating simple, just like clicking a button. 3) Both sites have made registering and becoming a member as easy as possible by utilizing Facebook log in as an option. 4) Both sites highlight the donator/lender as an important actor with ability to control his/her profile and messages. 5) Both sites support interactivity and social media sharing. Interaria is a Dallas based Web development company with emphasis on web application development, mobile app development, and social media consulting services. To contact us, please call 214-909-3900 or fill out our quick online form. 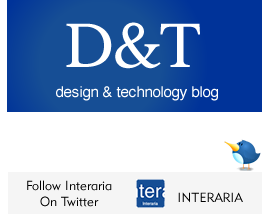 Follow Interaria on Twitter.